First Stage is hosting their 8th Annual Wine Tasting and Dinner fundraiser Saturday, November 4, 2017. Chef David Magnasco has planned a five-course dinner paired with wines found in high-altitude regions to “let your taste buds take flight.” Chef David has been involved in this event for the past seven years. 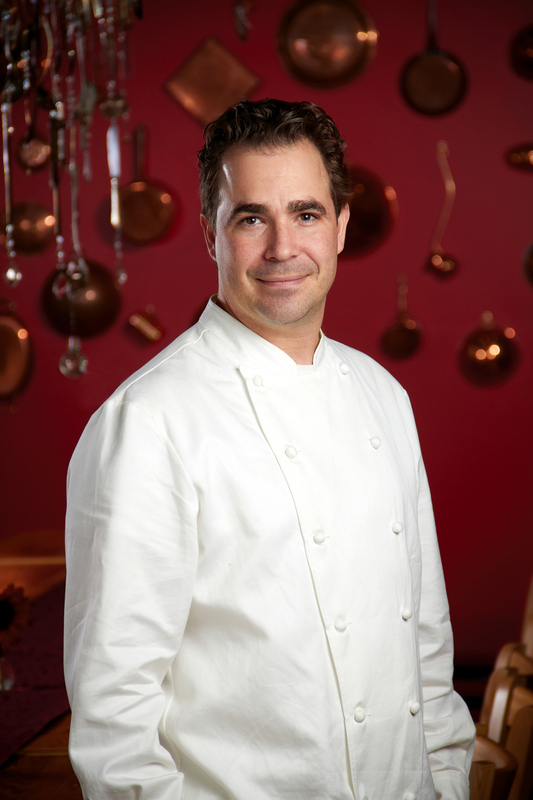 He has worked in many different restaurants, both here and abroad, and now is the head chef and owner of the Chef’s Table, Milwaukee’s only personalized private dining restaurant and event venue. He focuses on creating outstanding cuisine with emphasis on quality ingredients as well as beauty and taste. We had the chance to chat with Chef David to ask him a few questions about the event and his thoughts on different wines. Champagne. The depth and diversity of the Champagne Region in France opens the door for so much! It’s such a small area and everything that comes out of it is great. Hmmm….it depends on the time of day! That’s what I love about wine, truly depending on the time of day, you can always find something to fit your mood! My wife, Julia Magnasco, First Stage Education Director, said so…kidding! It’s honestly a way for me to support First Stages’ mission of transforming lives through theater by lending my time and talents. It’s an organization that we truly love and know how instrumental it is in the lives of so many young people in the Milwaukee community. This year’s event will focus on wines from high-altitude regions. Can you give us some examples? One I am very excited about is the Arinzano Chardonnay- it’s actually an organic wine from a vineyard in Northern Spain. There are so many interesting features and fun facts from all of the vineyards this year. I guess you will need to join us on November 4th to know more! We spent a lot of time hand selecting the wines. There will be 10 tasting wines and 5 wines that guests will learn about. First Stage’s Wine Tasting & Dinner is a unique opportunity for both experienced and un-experienced wine drinkers to learn about wine and food, while supporting a GREAT cause! Is there one menu or wine paring featured in this event that you’re particularly excited about? Can you explain how the wine and food work together for the palate? Sure, take the Lamb Lollipops – they are fairly fatty (full of flavor.) When you take a bite of the lamb and the fat gets on your palate you reach for a beverage to “cleanse your palate.” If you were to take a sip of water (it doesn’t even need to be ice water) it would actually make the fat cake onto your palate not allowing you to get the full taste of the lamb. If you take a sip of the Mount Brave Cabernet Sauvignon that we have paired with lamb. It’s a dry wine, which will dry out your mouth, causing you to immediately salivate, which will really cause a cleansing of the palate, allowing you to taste the food. The wine pairings cause true cleansing of the palate, allowing for an exceptional food and wine experience! The event will take place at The University Club of Milwaukee Country Club on Saturday, November 4. Sponsorship opportunities, tables of 10, and individual tickets are still available. Learn more and reserve your space.